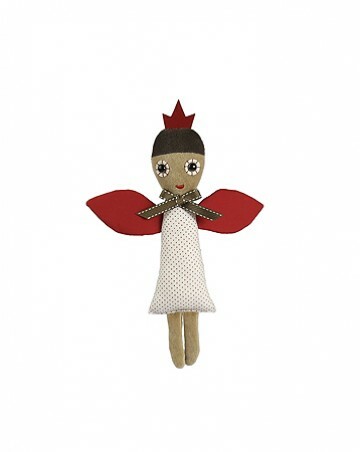 Sweet angel Rose Junior is a guardian angel for your little one at night and a lot of fun to play with during the day. Her wings make a crinkle noise! She comes on cardboard packaging and you can make her a little bed! (sheet and cushion not included) She is 22cm tall and washable at 30 degrees.